Tibetan Buddhist Research Gompa, Independent American- Based. Designated Centre by HH Drikung Kyabgon Chetsang, Drikung Kagu Lineage of Tibetan Buddhism. Cincinnati, OH. Closed 2002 with Cincinnati Riots & 911. Research Monastery website I designed, authored, and published for PDL, Phuntsok Dechen Ling, International Tibetan Buddhist Research Monastery. It also housed The Phuntsok House Bed, Breakfast, & Retreat that financially supported the work of PDL. The B&B interior was a first-ever interactive Mandala for guest to stay and rest in. The facility was furnished with rare and esoteric spiritual items that can be seen on the website. This website was built in 1999/2000 and has run continuously, without repair, since 2002. It still holds energy and radiates the original intent as the geographic Feng Shui Heart of Cincinnati, Ohio as a way to help heal the strife-ridden city. The placement and content of the site contains subtle forces and energies that one can derive benefit from. While the facility is closed, the website is still doing its job. All are welcome and invited to view and interact with a living Mandala of loving intention. Meditations, studies, teachings by renowned lineage heads, transmissions, Refuge and Bodhisattva Vows. Remote retreat camping, 8000 ft., on mountain side in northern Colorado. One hundred twenty-five participants from around the world. Rare long-life Lasang, dharma talks, programs, circumambulation of Stupa, wilderness walks, small and large group experiences. Milarepa is a famous Buddhist monk who received dharma and attained enlightenment through the experience of building and re-building houses which were variously destroyed over and over again. 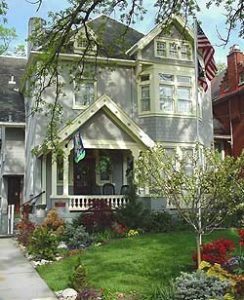 My Milarepa experience came during and after the five years I spent renovating an 1885 Victorian home in Uptown Cincinnati. The three story Victorian housed Phuntsok Dechen Ling, PDL, an international Tibetan Buddhist Research Monastery that I co-founded. The facility also included The Phuntsok House Bed, Breakfast, & Retreat as a support for its operations. I made use of all of my life training including renovation skills, formal studies, life experiences, and spiritual training to transform the home to an elegant, one-of-a-kind, interactive live healing Mandala for guests, and to serve as a geographical Feng Shui Heart for the strife-ridden city. The goal was to provide B&B amenities for incoming guest, house scientific research retreats, provide facilities for local group meetings, and to house and financially support the entity of PDL and its Spiritual Mission. Raise the vibration level of a city built upon Indian Burial Grounds. Create a healthier Uptown energy using the Feng Shui Heart of the city to reduce tension, strife, and crime. Interface with community organizations and programs to promote understanding and tolerance. Then on the opening weeks, after five years of work, like a true sand Mandala, it dissolved itself too. The Cincinnati riots erupted and brought in Marshall Law that shut down both the city and tourism. Then four months later, just as our disaster loans came through, and recovery began, the 911 World Trade Center attack hit, and shut down travel across the country and again to our city. Our promised disaster loans were diverted to 911, our new facility could not endure, even the Bureau of Tourism went bankrupt, and eventually we did too. I built the website in 1999/2000, and it has been up and operating without repairs since 2002. Sand Mandala built by Buddhist monks that visited our facility. Sand Mandalas are vibrantly colored sand pictures that take days, and even weeks to build by highly trained and skilled Buddhist Monks. When they are complete, a sacred ritual is performed, then the intricate design is scooped up in containers, carried away in great ceremony, and finally poured out in another location – impermanence – energy is never lost. Spiritual Healing is a Sacred Ministry. The information contained in this document and on my website, including ideas, suggestions, research, therapies, techniques, and other materials, is educational in nature and is provided only as general information and is not medical or psychological advice. Please read the website and Disclaimer before scheduling an appointment to insure you are fully informed about Spirit-Mind-Body-Energy Balancing.